Decks and wood structures surrounding your home have a huge impact on the presence and overall appearance of your home to your neighbors and visitors. Intercoastal Exteriors can safely clean decks and other wood structures on your property without damage to increase the beauty and make wooden surface safe to walk on. Mold and mildew make for a dangerous situation, causing surfaces to become slick and treacherous for anyone. Not to mention these stains hurt the value and appeal of your home. We custom mix all of our detergents and cleaning agents for each project to ensure we are cleaning the wood surrounding your home in the best way possible. We want to leave wood with a glowing natural appearance or prepare it for further preservation with the use of stains and sealers. Intercoastal Exteriors is your local industry trained and certified expert when it comes to wood cleaning and restoration. We use only professional equipment to clean and condition all wood products for the best possible results. Blasting away at wood with high pressure is a damaging practice. It will prematurely age the surface and leave you with an uneven appearance. Wood should be treated with care and cleaned properly to bring out the natural properties to enhance appearance. Intercoastal Exteriors uses a softer approach with environmentally safe detergents that break down and lift the stains and organics trapped within the fibers of the wood. 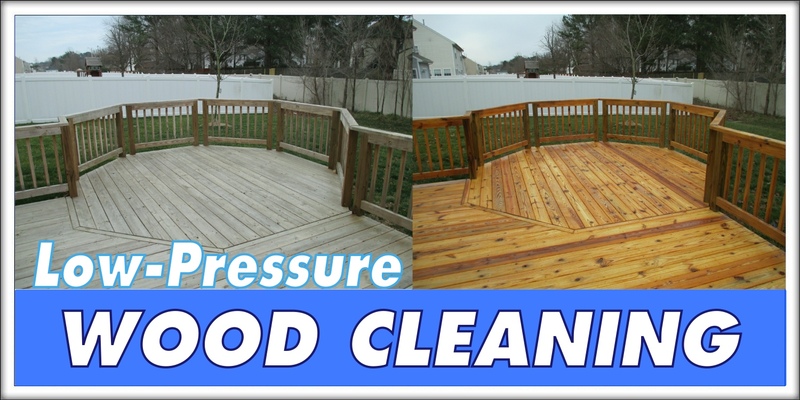 Then we rinse and condition your deck and other wooden structures using low pressure water to flush any remaining contaminates from the wood. At no charge to you, we will inspect the wood around your home and suggest any minor repairs to increase safety and beauty of your existing structures. Then we would give you an estimate to include replacing boards and screws to decks, docks, railings, ramps, fences, and other wood structures on your property. Customer service is our number one priority while serving you. No bait and switch techniques are ever employed and only the best value offered every time. Professional equipment and staff will handle any size job. We are industry experienced, trained, and certified professionals. We at Intercoastal Exteriors are safety conscious and aware of property and your staff. Licensed and fully insured for up to two million dollars for pressure washing services. Handymen and landscapers may be insured for some items, but this may not cover pressure washing while on your property. We are environmentally certified and understand wastewater laws and act in complete compliance with EPA and the Clean Water Act while servicing your business or residence. We 100% Guarantee that you are and will be happy with our work. 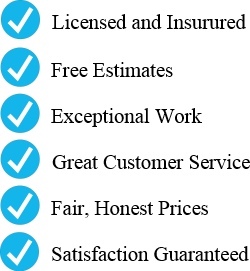 Call us now to set up your fast, friendly, and completely free estimate.